BEIJING — Zhang Haitao was a rare voice in China, a member of the ethnic Han majority who for years had criticized the government on social media for its treatment of the minority Muslim Uighurs. Zhang's wife had long feared some sort of backlash despite her husband's relative obscurity. He was a working-class electronics salesman, unknown even to most Uighur activists. So she worried that authorities might block his social media accounts, or maybe detain him. Instead he was arrested and prosecuted for subversion and espionage. His punishment: 19 years in prison. 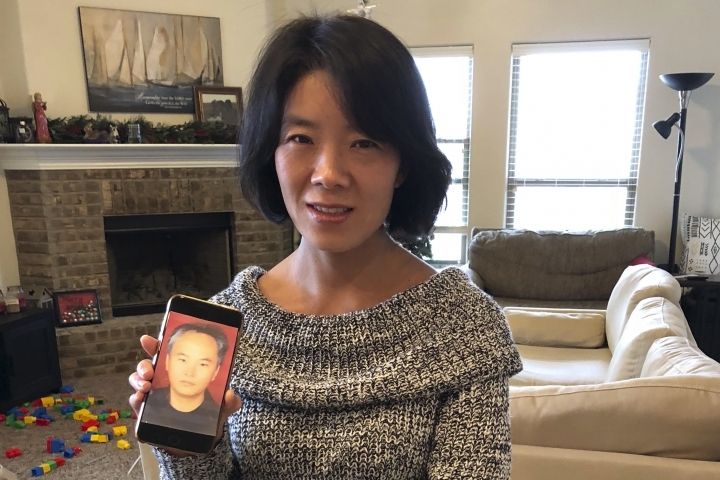 "They wanted to make an example of him, to scare anyone who might question what they do in the name of security," Zhang's wife, Li Aijie, told The Associated Press earlier this week, one day after she arrived in the United States and asked for political asylum. "Even someone who knows nothing about law would know that his punishment made no sense." But Xinjiang, the tense northwestern region where most Uighurs live, has been enveloped in recent years in a vast dragnet of police surveillance , which authorities insist is needed to root out separatism and Islamic extremism. Zhang, who moved to Xinjiang from central Henan province more than a decade ago in search of work, wondered in his social media posts whether these policies were stoking resentment among Uighurs. He warned that China's restrictions on the Uighurs' religious practices risked sparking an insurgency. But questioning government policies in Xinjiang has become an untouchable third rail in today's China. Court records say Zhang was convicted of sending 274 posts from 2010 to 2015 on Twitter and the Chinese social media service WeChat that "resisted, attacked and smeared" the Communist Party and its policies, earning him 15 years in prison for inciting subversion of state power. He was given another five years for talking to foreign reporters and providing photos of the intense police presence in the streets of Xinjiang. That, the court said, amounted to providing intelligence about China's anti-terror efforts to foreign organizations. 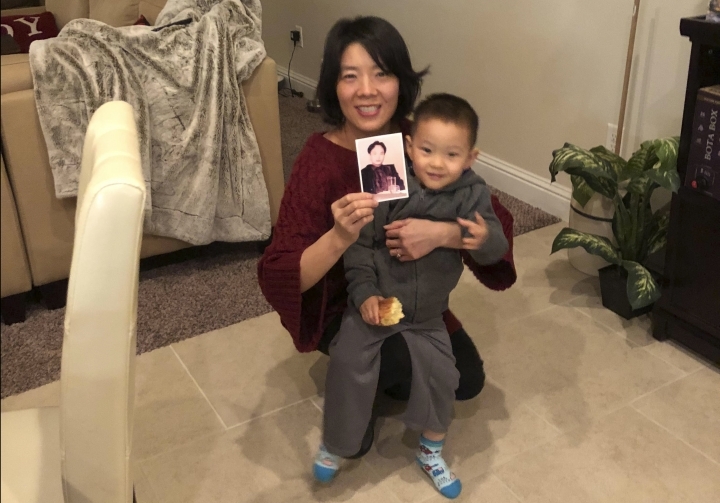 Hoping to draw attention to Zhang's plight, Li provided her husband's court documents and letters from jail to the AP, as well as her own account. 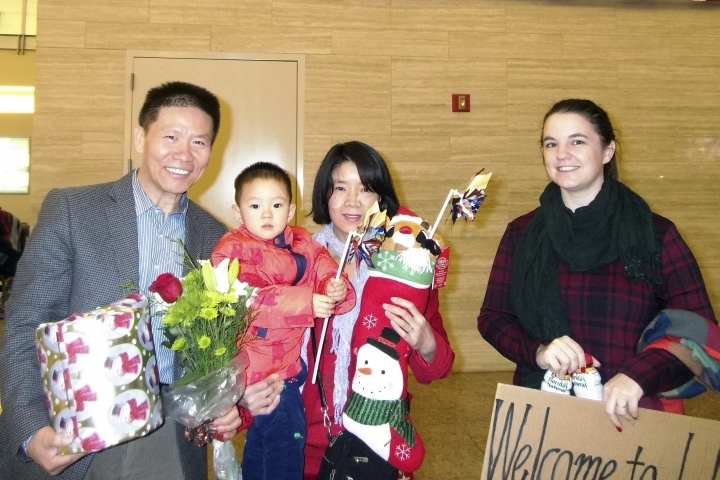 The daughter of a farming family in Henan's hardscrabble hill country, Li met Zhang in 2011 after stumbling across a personal ad he had arranged to have placed in a local park where singles sought partners. The flier said he sold wireless routers and listed his modest height: 168 centimeters (5-foot-6). On their first date, when Zhang was back home in Henan, he wore a jacket with threadbare cuffs but showed Li his identity card in an awkward attempt to prove he was genuine. That simple directness was something she grew to love, Li said, but it was also Zhang's downfall. He had been repeatedly warned by police about his social media activity, but he always ignored them. "Life must have greater meaning beyond the material. Our mouths are not just for eating, but also for speaking out," Zhang wrote. While the severity of Zhang's sentence stands out, others in the region have been punished for mild criticism. Ma Like, a Muslim hostel owner in the ancient Silk Road city of Kashgar, was accused in April of "propagating extremism" because he had retweeted two Weibo posts — one about how Chinese policies were alienating Uighurs, the other a veiled reference to restrictions on the Islamic headdress — according to two of Ma's friends, who provided copies of Ma's indictment and spoke on condition of anonymity for fear of government retaliation. "The government removes the middle road so it leaves two extremes," Wang said. "You're either their mortal enemy or their slave." Li's family begged her to divorce Zhang, even give up their child. When words didn't sway her, in October her siblings and parents beat her, leaving her bruised on the family home's floor. 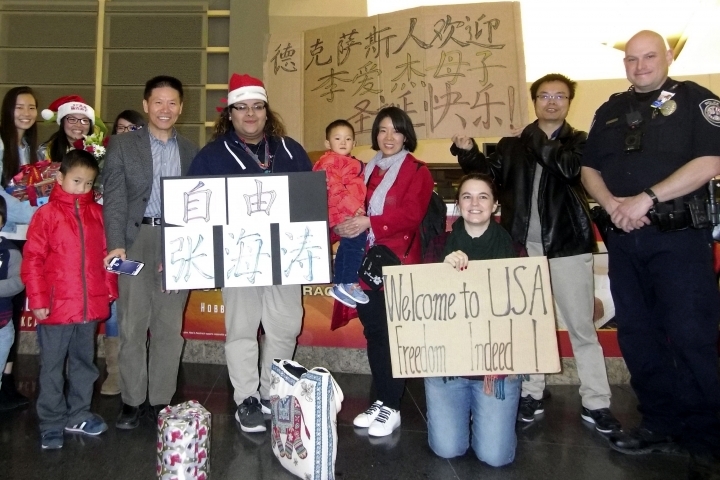 "I cannot hate them," Li said. "They were trying to resist enormous pressure. But after that, I had nowhere to go." When she files her asylum paperwork, she lists the boy's legal name.